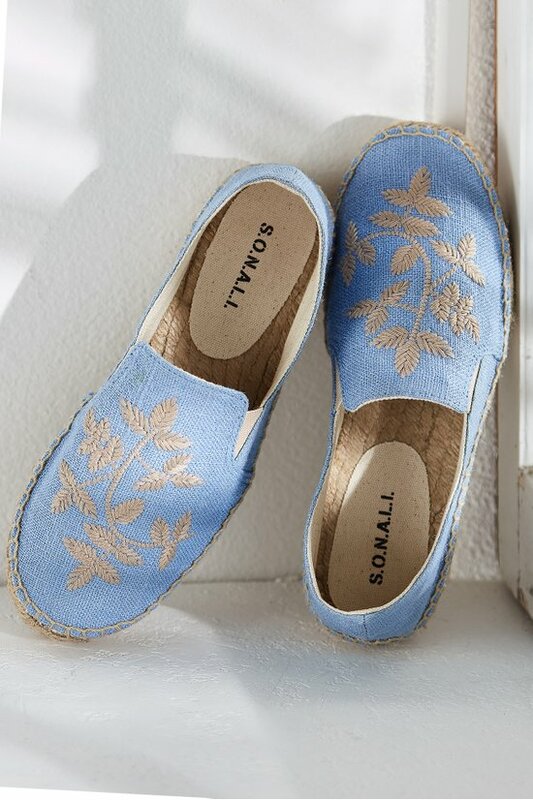 Leafy vines embroidered by hand embellish these casual cotton canvas espadrilles styled with textural woven jute. Easy slip-ons are cool and comfy for all your outings or at-home lounging. 1/2" heel.